Protect your charger cable with animal cable protector. 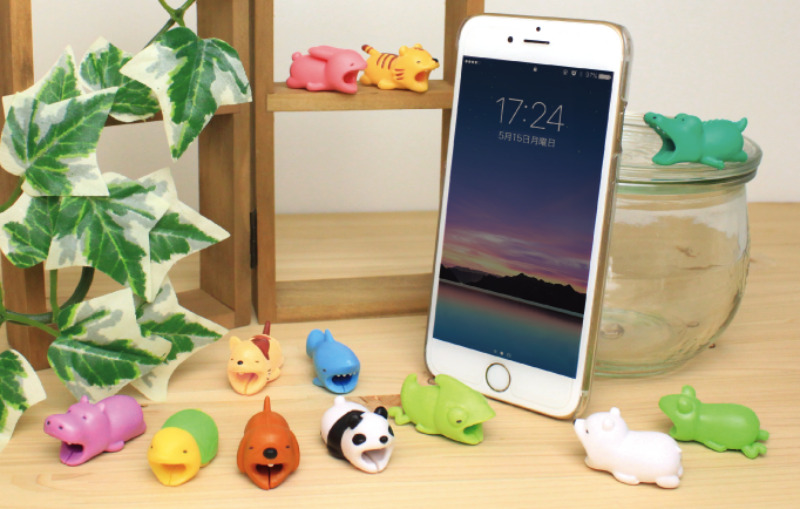 Cute animals are here to protect your iPhone cable. Super cute accessory to protect your iPhone cable from breakage while. These adorable little animals "bite" your phone. Works with iPhone charging cables. Animal cable protectors are designed with premium material and can be used as phone charger cord protector and phone charger saver to completely protect cables for all devices. Adorable animals that look cute and are practical! HIGH QUALITY - Made with high quality ATBC-PVC plastic that is both flexible and durable! SAVE MONEY - The Cable Bite protects your charging cable from bending and breaking at the end so you will not have to buy new cables! NEVER LOSE YOUR CABLE AGAIN - Not know who's charger is who's? Put a cable bite on and never lose it again!